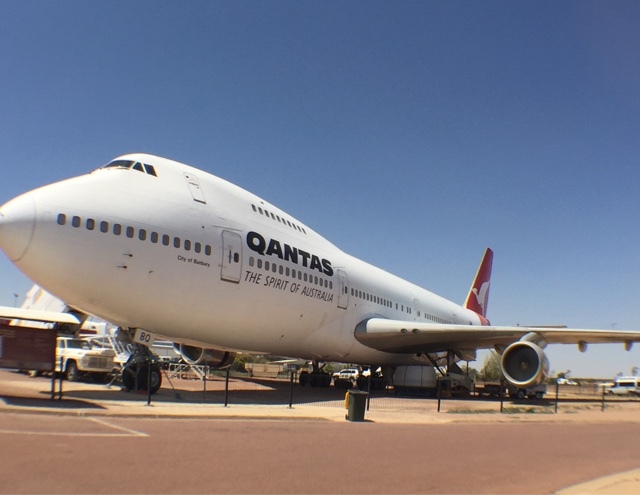 This museum tells the story of the founders of our Aussie airline Qantas. The "Queensland and Northern Territory Aerial Service was started back in the 1920's here in Longreach. The museum has lots of old aircraft, genuine artefacts, movies that tell the story of what it was like in 1920's Queensland. The museum also includes the original Heritage Listed Qantas Hanger, it's pretty small compared to the size of aircraft hangers these days. As an addition we decided to do the Jet Tour as well. This tour began at the huge 747 with a walk around inside and out showing such features as the Lavatory Service Hatch!! I've always wondered what happened to that!! 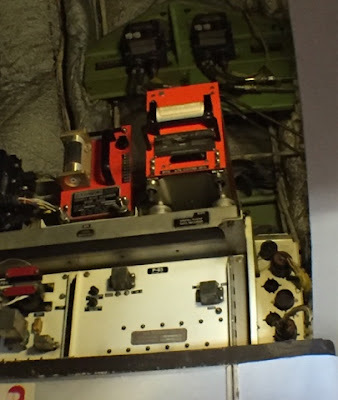 We were also shown the infamous Black Box (that was actually orange). The Black Box isn't Black!!! 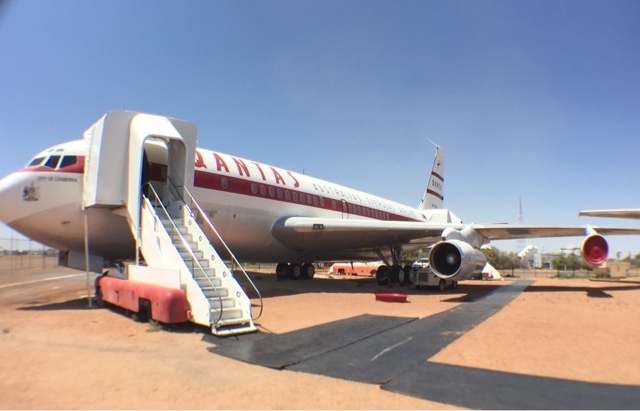 Next was the 707 which they describe as an aircraft like no other. We learnt about its early days of being built in the United States, it's first days with Qantas then it's luxurious conversion into a private jet for a Saudi Prince. 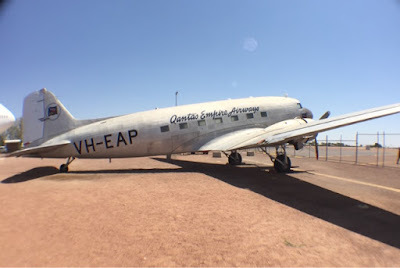 The tour ended with the historic DC3, which was left to rot in a paddock and was eventually bought by the Museum for some ridiculous amount under $100. We were lucky enough to be doing the tour while the famous pilot/plane group "The Roulettes". They did a few air manoeuvres and landed right in front of us. We are now sitting at Myrtle listening to the singer Paul Kelly rehearse for the drought relief concert that's on in town. It's actually at the Stockmans Hall of Fame which is just next door. Also singing are two singers I haven't heard of and my favourite Country singer Troy Cassar-Daly. We are intending on going to the concert but just in case we should still be able to hear it quite well from Myrtle.